Dr. Pablo Santos Iglesias, a postdoctoral fellow in the University of New Brunswick’s (UNB) psychology department, has won a prestigious Banting Postdoctoral Fellowship from the Canadian Institutes of Health Research to examine sexual well-being in couples living with fibromyalgia. Dr. Santos Iglesias came to UNB from Spain in September as the university’s first Banting Postdoctoral Fellow—a prestigious award valued at $140,000. He will be working closely with psychologist and chair of UNB’s psychology department, Dr. Sandra Byers, who is internationally recognized as one of the world’s top sexual scientists. "We have very limited knowledge about the effects of fibromyalgia on sexual well-being," says Dr. Byers. "Yet, many people with fibromyalgia are concerned about their sexual well-being because it affects their quality of life as well as their relationship with their partner." The university community officially welcomed Dr. Santos Iglesias to UNB on Wednesday. "We are lucky to have such a well-regarded and successful scholar in our midst," said Dr. David Burns, vice president of research at UNB. In Banting’s 2012-13 nation-wide call for nominations, 163 applications were received and Pablo’s was ranked third in the 23 that were awarded." 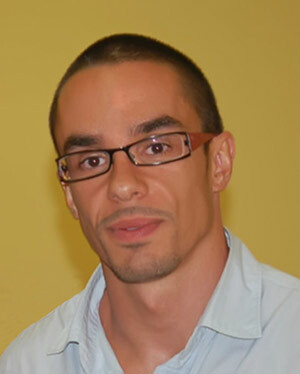 Dr. Santos Iglesias will be conducting his postdoctoral research at UNB for the next two years. His research centers on factors, especially sexual communication, that affect and motivate human sexual behaviour, as well as predictors of sexual victimization experiences in both men and women.